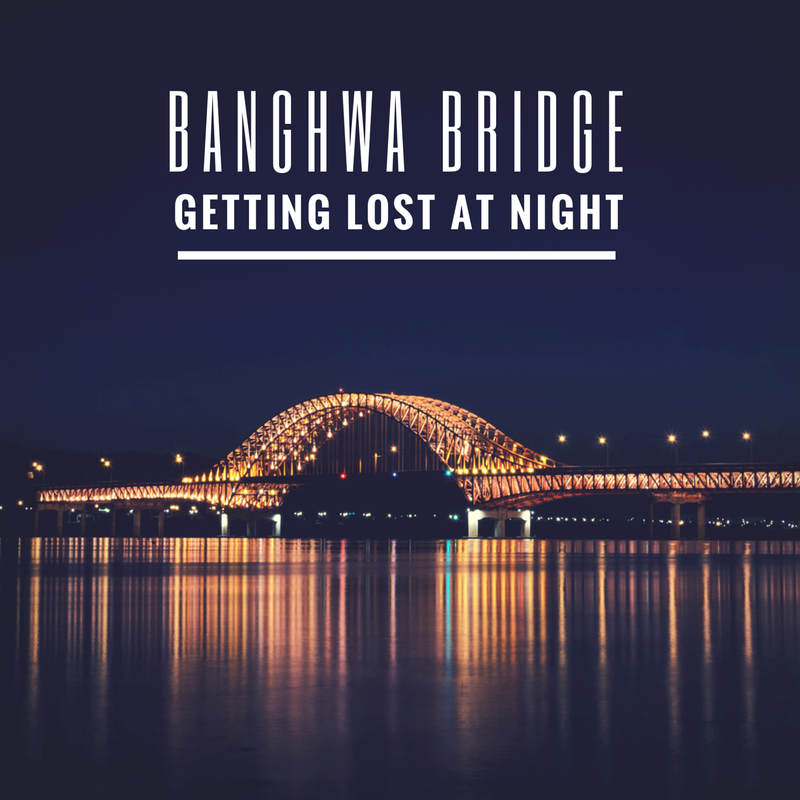 BangHwa Bridge (방화 대교) - Getting lost - Experience It! For the first time being in Korea, technology has failed me a little. I was just starting to get used to and also being proud of being able to read and use the bus application. This allowed me to get anywhere I wanted to go without the help of others. 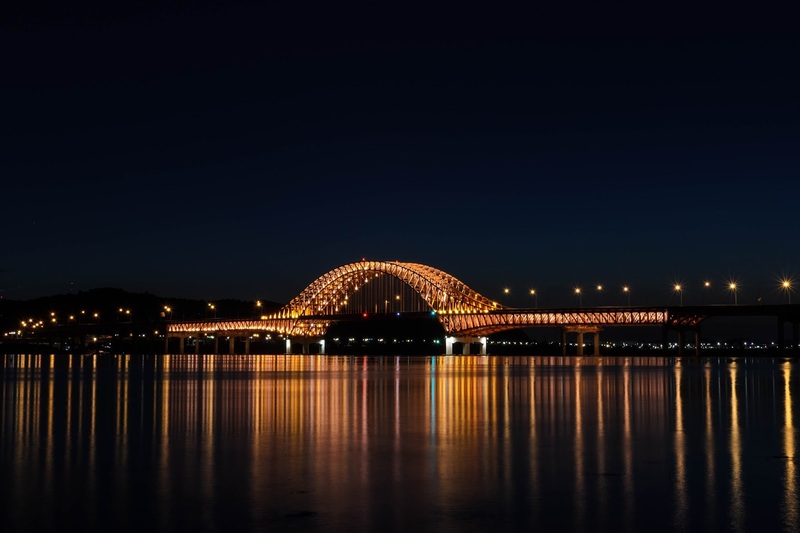 I've been meaning to take a picture of Banghwa Bridge (방화 대교) for quite some time now. So one evening I set out to do it. Having checked the application and internet, I got on the bus. I knew exactly where my bus stop was, even though I knew something was odd. When it came to it, I heard the announcement and got ready to get off. I pressed the bell and then the strangeness started. The bus driver asked me... "Here? ", and I said: "Yes". Which is odd, because they never ask you. 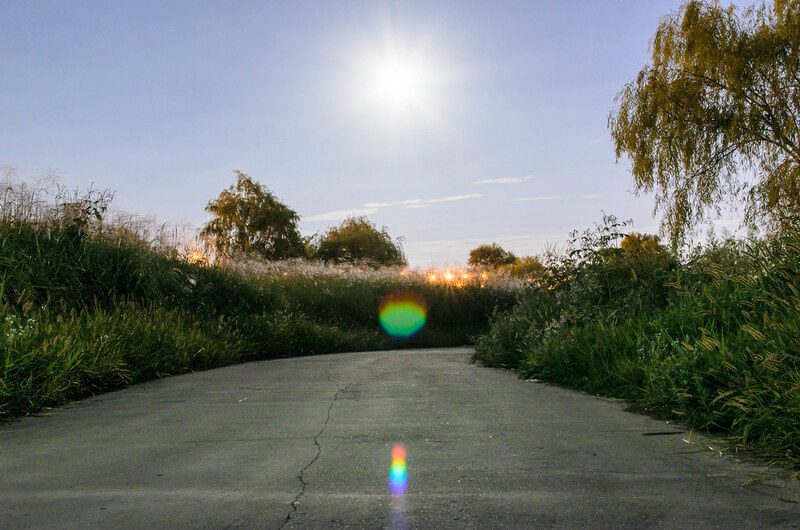 Then I noticed that I was in the middle of the highway, close to an exit luckily, but in the middle nonetheless. I then was able to take the beautiful picture of the bridge as the sun was setting. 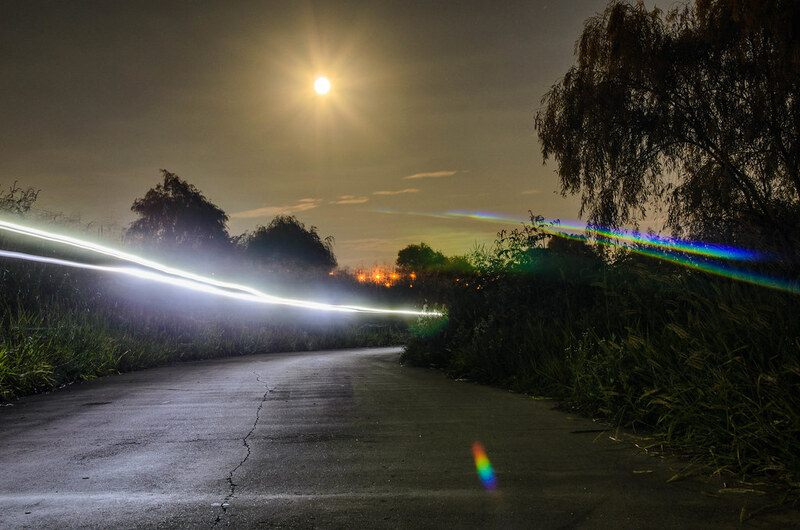 On my way back I took some long exposure shots of the bike path, with only the full moon and bicycle lights to light the way. It was quite dark and I think they came out pretty nicely. Then I checked the application again to find a way back home. This proved to be even more difficult, as I knew now the shown bus stops are in the middle of the highway and no bus would stop for the "hitchhiker" next to the road. So I decided to walk along a road, next to the highway, towards another bus stop at one of the exits. It turned out to be a closed road, which is also not shown on the maps application. To make this long story short, I ended up going back to where I started and walking on the side of the highway for a while to get to the other bus stop and catch a bus back home. It took probably another hour of walking, but I think it was all worth it. Exercise and a great shot. What else could I have asked for? Follow me on all my social channels if you don't want miss another blog post.